...for the lack of posts recently. This has been due to my continuing health problems. I have an appointment with my neurosurgeon on Friday, who hopefully should be able to decide what happens next. Please be patient - I will start posting again soon; hopefully this weekend but maybe not until the middle of next week. Write up to follow - just too damn busy at the mo! 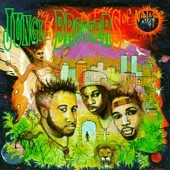 Released on Warner Bros in '89, "Done By The Forces of Nature" was the Jungle Brothers follow up to their inspirational, original, ground-breaking album "Straight Out The Jungle". Often labelled as "alternative", the JBs championed their afrocentric backgrounds & used religious influences in their lyrics in a way that few other hip hop artists had done before. The most successful (commercially speaking) single from the album was "What U Waitin' 4?". Equally impressive are "U Make Me Sweat", "Black Woman" (feat. Caron Wheeler of Soul II Soul fame) & their collaboration with members of the Native Tongues Posse on "Doin Our Own Dang". Just a quick post to say I've updated the list of links in the sidebar to include 3 other blogs that have impressed me recently. They've currently got links to the hugely under-rated K Sol album "Tell The World My Name". And finally, I know I've bigged up Bust The Facts several times on this blog before but I must do it again. Without doubt, from the sheer volume of links they produce, it's got to be my favourite blog at the moment & they've recently upped Original Concept - "Straight From The Basement Of Kooley High!" If you've never heard this album before, make sure you get it & listen to it. A true classic, in my opinion. 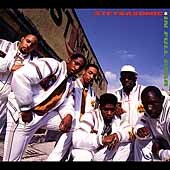 Stetsasonic claimed to be the 1st hip hop "band"; using live instruments in the studio & on tour. This album (their second of three) demonstrates this fact quite well & was probably the first record to successfully introduce jazz to the rap scene, with probably the single that they were most famous for - "Talkin All That Jazz". Released in '88 on the Tommy Boy label, this album comprises of 17 tracks; of which, very few can be considered "fillers". Highlights of the album for me are the title track, as well as "Pen & Paper", "DBC Let The Music Play" & "Freedom Or Death". The fact that this album was re-released in 2001 (with 3 bonus tracks) speaks volumes about this album. It still sounds fresh today! Veuillez laisser un commentaire ! Lassen Sie bitte eine Anmerkung! Gelieve te verlaten een commentaar! Deixe por favor um comentário! ¡Deje por favor un comentario! Def Jam - The No.1 Label of the Golden Era? In my opinion they were THE label in the mid-late 80's, with a stable of top drawer artists consistently bringing out top quality records. Today's post is a link I discovered on the internet today (on some strange Hungarian music forum, of all places). It's the box set they brought out as a 10 year celebratory compilation. There are some real classics on here from the like of LL, Public Enemy, Slick Rick, 3rd Bass & Eric Sermon. Full track listing is in the comments below.